Want to do something good for a shelter animal this holiday without lifting a paw? Want a chance to win a cool prize in the process? You can bring joy to a homeless animal this holiday season with just one click. Pawesome idea, isn't it? Then tell us you commented by clicking the big green "I commented!" button in the Rafflecopter widget below. Go and click "LIKE" on PetSafe's facebook page at this link here. You'll be given TEN more entries in the giveaway by doing this, plus you'll be guaranteeing a shelter pet has a new toy for the holidays. This giveaway is open to all U.S. residents from now til December 31st. Disclaimer: No purchase necessary to enter. Void where prohibited or restricted by law. 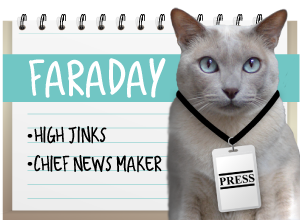 PetSafe graciously offered up the FroliCat item as a giveaway, but we were not compensated for writing this post. All opinions are our own. * Up to 15,000 toys will be given to shelters by PetSafe through this promotion. The dart duo would be great in our house! What fun! Wow! Some kitties are going to be very happy this Christmas! Good luck to those participating in the giveaway! That looks like lots of fun! I'd love to see Waffles with the DUO too! Since there are 4 felines here, I think the Dart Duo would be our best bet. She says I already have too many toys (hrummph) so I should let another kitty win the prize though. Hope you kitties had a wonderful Chanukah -- we sent the picture of your asparagus menorah to a friend back East whose family are vegetarians and she made it! But she said what she really would have liked were the chocolate dreidels ;-) ha ha ha! 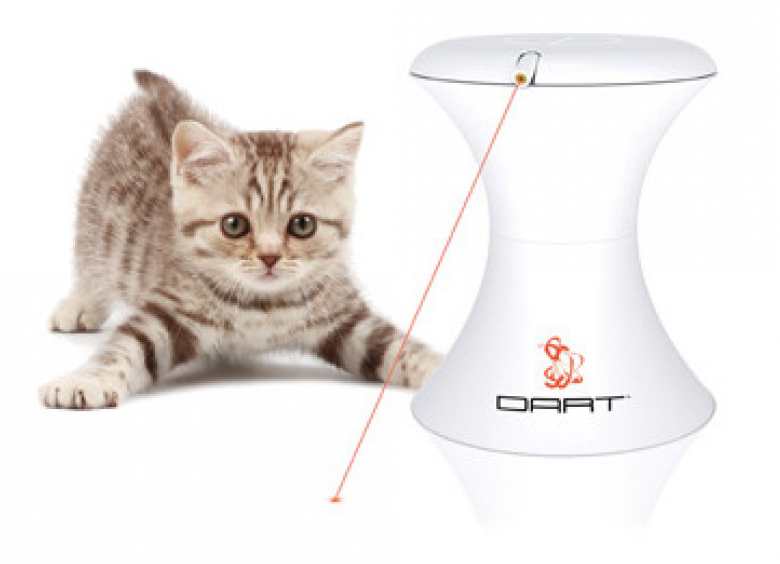 I like the Frolicat Dart Duo. We have the Bolt, so we'd like the Dart Duo. It looks like fun! What a wonderful opportunity for the shelter kitties! We would like the Dart Duo too! ...this might be just what Waffles needs to secure a lifetime spot at the Betty Furred Red Dot Clinic. Um, is that reely your name? So I keep trying to catch the red dot on the computer screen here on your glob, I mean blog. But it's not twerking..I mean werking. Can you tell me where the red dot lives? It's really important.I need to visit him. Or send him a Christmas card. 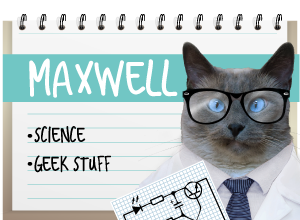 Maxwell: Waffles, dood, the nice Betty Furred people told me I could use the computer between my meds to write to you. Uh, they SAID to tell you the Red Dot lives HERE and to come on over. But they were smiling kinda funny when they said that. You are SO lucky you get to live WITH the Red Dot. Glogirly says my Red Dot's batteries aren't twerking anymore. TW got the Bolt for me cos ParkerSKat recommended it but I won’t play with it. TW doesn’t like it cos our condo is too small and it goes all over the place where I can’t get at it. We had a bolt until someone, Buddy, knocked it down from the cat walk and it busted. I'd go for the Bolt, I like the manual mode! Froli cat duo for sure. How cool is that! We entered for the give-away! Thanks for such a fun giveaway, pals! Oh these look so cool! We ahve a pal in the us who will LOVE this! If we win, we'd like the Dart Duo. We think this is a very pawsome idea! 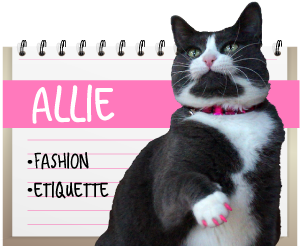 We like Petsafe on FB but it's under Mom Paula's name. ...and what a great thing to do... givin' toys to kitties livin' in shelters.